Vince Mendoza’s new CD “Nights On Earth” is out this week – there’s some pics and a bit more detail in one of my earlier posts here. It’s an *AMAZING* project, and I’m proud to have been a part of it. More here. 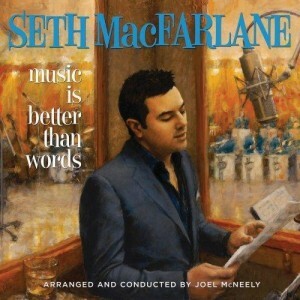 Seth’s new album “Music Is Better Than Words” released this week. Really great album/CD (yes, it’s available on vinyl), featuring Seth singing with 55+ pieces at Capitol Studios – we recorded the album to double 24s analog, 30ips, no noise reduction. Used lots of old mics, etc… but really, it comes down to cutting with all the musicians on the floor together with Seth, some fantastic musicians and arrangements, and *great* singing from Seth, with some nice guest appearances from Norah Jones and Sara Bareilles. I couldn’t be happier with how it came out. There’s also a companion video of an evening of this music filmed at Club Nokia and mixed by yours truly, airing on the EpixHD channel. Check ’em out! "Music Is Better Than Words"